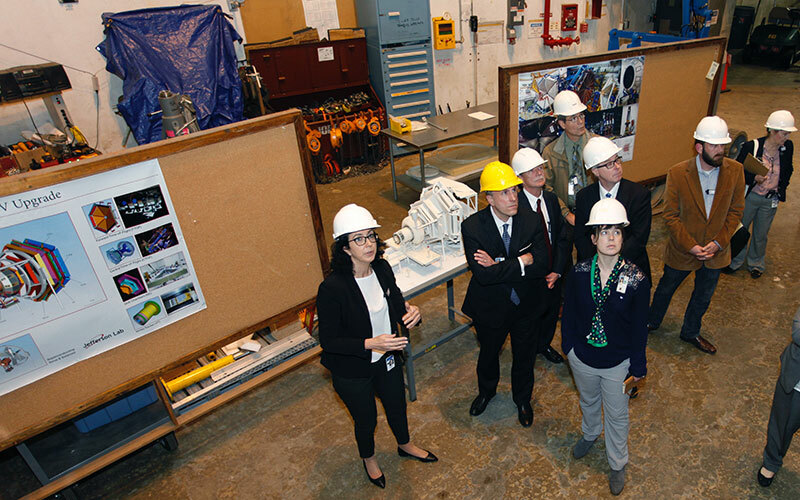 Under Secretary for Science Paul Dabbar toured several of Jefferson Lab’s facilities, including the Test Lab, Machine Control Center, Central Helium Liquefier (refrigeration plant), and Hall B and Hall C (two of the lab’s four experimental halls). 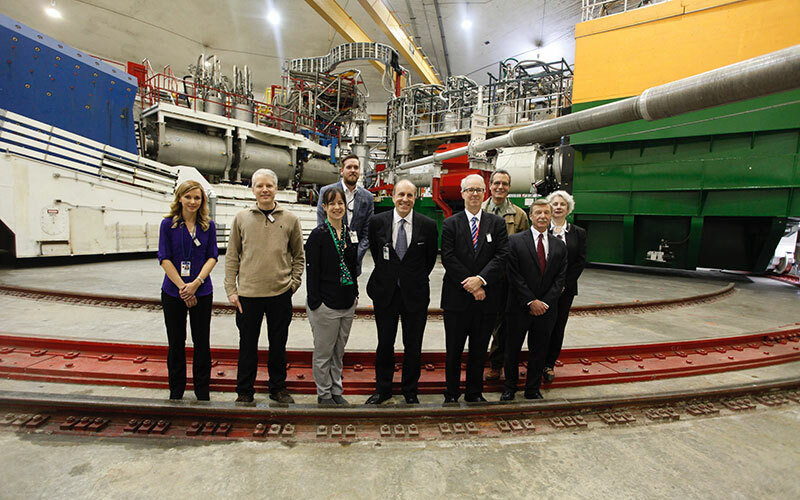 On Jan. 11, Department of Energy Under Secretary for Science Paul Dabbar visited Jefferson Lab. 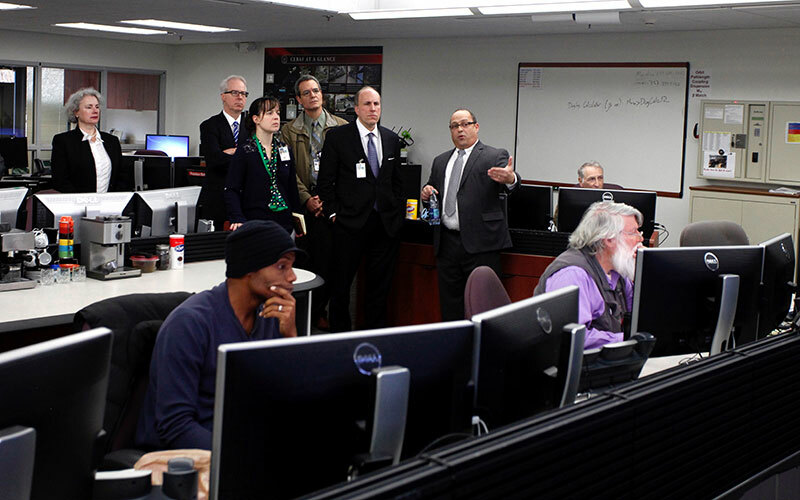 While at the lab, he met several members of the lab’s senior leadership team, as well as members of the lab’s User Community and DOE Thomas Jefferson Site Office staff, and a number of the lab’s young scientists. 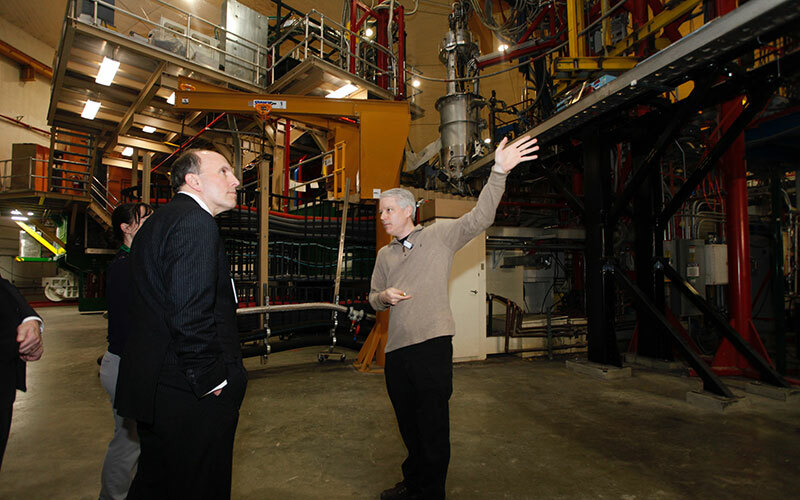 He received briefings covering the lab’s scientific research program and other work before touring several of the lab’s facilities. 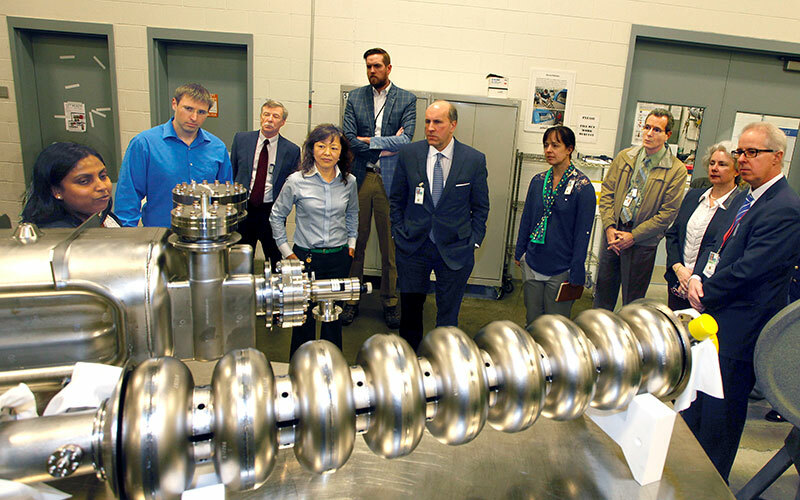 He also learned about some of the lab’s advancements that are now licensed and used in commercial devices, and participated in a technology transfer group discussion. 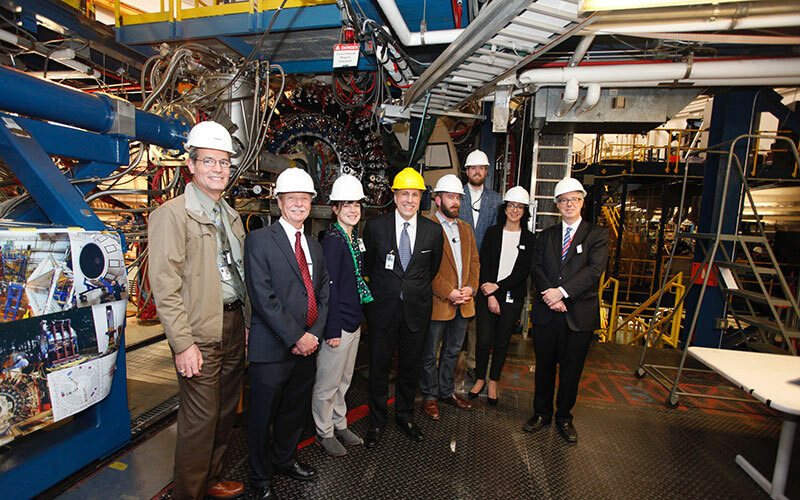 Dabbar serves as the science and technology advisor to Energy Secretary Rick Perry and, as part of his portfolio, oversees the Office of Science and its national labs. Dabbar was previously the managing director for mergers and acquisitions at J.P. Morgan & Co. A graduate of the U.S. Naval Academy and Columbia University, he served as a nuclear submarine officer aboard the USS Pintado.